I was excited from the very moment I was asked to speak on a panel of WEGO Health activists. The other panelists represented cancer, diabetes, and organ transplant patients; I of course represented multiple sclerosis. The conference was to be held in Boston. That’s a seven-hour flight and one layover from my home in New Orleans, Louisiana. This in itself did not pose a problem for me. I’ve traveled by airplane multiple times in the past. I see disabled individuals in the airport all the time. Tommy, my husband, wheeled me to the gate. Then both the airline representative and Tommy escorted me down the jet way to the airplane. In the past, I would then stand and wobble to my seat. This time it was deemed necessary for me to use what they call an aisle chair. I could no longer even wobble to my seat! The aisle chair fits between the rows of the airplane. Can you imagine being wheeled between the two rows of seats? I was worried if I could even fit. They strapped me up like Hannibal Lecter. I had to ride with my arms crossed to ensure I passed. The plane wasn’t even empty as I missed pre-boarding thanks to bladder issues! I was forced to ignore all embarrassment issues. Once I made it to my seat. I was sad of course. I let a silent tear fall. Then pushed my seat back, closed my eyes, and relaxed. After all, what else could I do? It was very humbling to say the least. It confirmed my disease had progressed. But it cemented that I could handle it. I continued to move forward anyway and instead of saying my planned speech at the event I told this aisle chair story, which gave the conference attendees a glimpse at how it is to live with MS.
Have you ever seen an aisle chair? More WEGO Health 2013 Socialpalooza pics. I was so glad to click on this website today. In a few months, I will be taking a trip to Palm Springs, CA where I will have to change planes one time. The last time I flew, two years ago, I did exactly as the writer did – got down to the door of the plane and hobbled in. This time I know that won’t be the case – I will have to use the aisle chair. It will be a new experience and I hope to handle it like the author. I am sure with anything anymore, I will shed a tear. I just have to remember to be strong, be positive and enjoy a trip to a place I’ve never been. Jill, This is Nicole, The author. I’m sure you’ll be fine. Just don’t worry about people staring because they will. This gives me some courage. Thanks so much for sharing. My last flight was 10 months ago, Oahu to Maui, a 20-minute flight. I was too humiliated to use the aisle chair. I have no idea how I made it into the airplane and to the very first seat on my own strength. I was willing to attempt the flight because I figured I could avoid going to the restroom on such a short flight. If it were any longer, I have no idea what I would’ve done. The airline broke my electric wheelchair on the flight to Maui. I managed to get the wiring figured out myself so I could get around at the conference I was attending. They broke it again on the flight back to Oahu. This time I was stuck on the plane long after everyone else had left, while they stared at the pieces of the chair they could not assemble. Thank God I did not have an urgent need to pee. They ended up giving me a loaner chair and mine was in the shop for 6 weeks waiting for a replacement part. I decided than and there, that would be the last time I ever attempt air travel. Laurie,It sounds like he had a experience. I hate to say to you stop flying though, I understand. 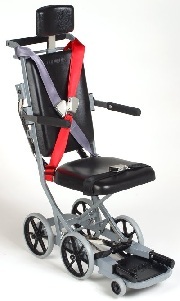 I am looking for a used aisle chair for my son who is 12 and is wheelchair bound. Any good ideas on where to look? Philip, Maybe try the airlines? You are so brave, Nicole, and help so many people with your stories. I am honored to be your fellow blogger and to know you live among us. Bless you, always. Thank you Nicole! I have SPMS – and thankfully can still walk, albeit for very short distances. 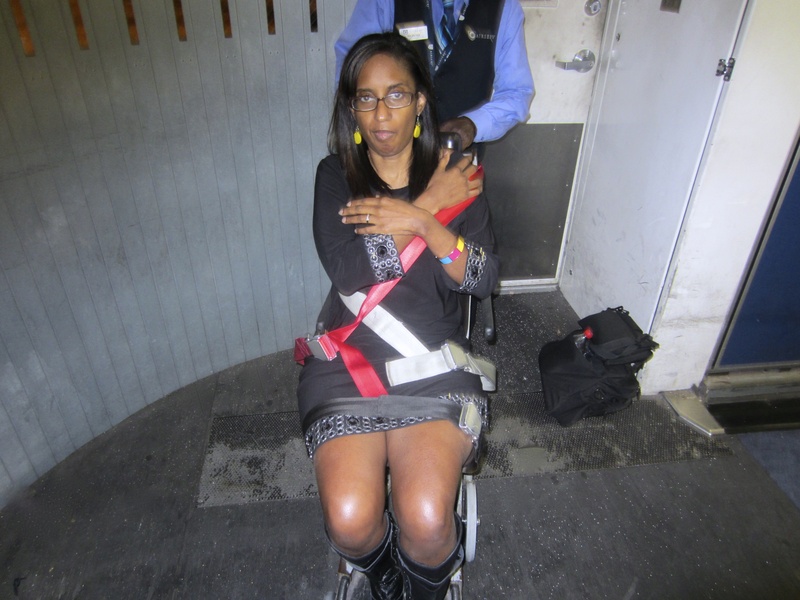 For anyone with a disability – airports & airplanes can be VERY INTIMIDATING places. 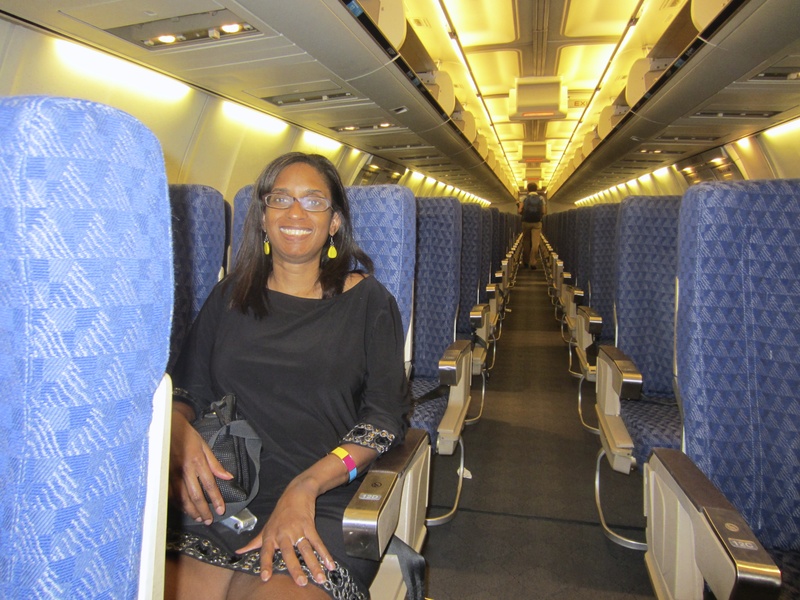 I fly every couple of months, sometimes with my husband – sometimes alone. I was seized with fear of traveling alone 2 yrs. ago – but claimed the scripture “I can do ALL things through Christ who strengthens me.” Phil. 4:13. At DFW the walking distance can be incredibly far between check-in to the gates or even a different terminal. After doing my drunk-walk for as long as I could – I SUCKED IT UP – and ducked into a busy gate, found an airline/airport employee and simply said, “Hey, I’ve got MS, can’t walk much further & need you to find a wheelchair & help me to my gate.” He did. It was that simple. My VANITY has always been in the way of asking for help or using assistive devices – but that was incredibly FREEING – & I won’t wait next time to ask for help first. Your bravery is inspiring! Stacy, Thanks so much. It’s not easy, but what choice do I have. Sounds like reached out for help just in time. Do you still work? Sorry for the delay in responding…my MRI shows so many lesions – the radiologist calls them “innumerable”. Maybe he just doesn’t counting past a certain #!!! Most of my MS glitches are COGNITIVE! Give me a deadline or ANYTHING involving stress…i.e., holidays, hurrying for an appt., WHATEVER – and everything in my brain begins to short-circuit. Sometimes to the point of a near frozen state…and the ole deer in the headlights look. No, I don’t work. Was blessed to have been a stay at home mom & raised 3 sons. Did however have a number of great part time jobs…with my favorite & longest lasting position as a medical transcriptionist. HOWEVER, as much as I would like to work, unfortunately I’d be a huge liability for some poor employer, especially a doctor! For 20+ years I did volunteer work (admin stuff) @ our church…but “retired” in 2010. That was the year I was dx’d with SPMS. But boy did you rock the house when you got to SocialPalooza and took the stage! Poised, elegant and full of outstanding advice for the crowd to learn from. So glad to have meet you at the event and look forward to seeing you on stage in the future too! Vanessa, You are too kind. I have never heard of an aisle chair, so this was a first for me and feel priveleged to learn of this from you Nicole. You are a a remarkable woman, MS is cowering behind you, as it should be!!! When I see you, I see YOU, not a representation of a chronic disease named MS. You go girl!! ella, it was a first for me too!! Nicole, I was diagnosed with MS 5 years ago after the birth of my son. After a horrible relapse last spring, I knew that I had to try everything to stop the progression of my disease. I had HSCT almost a year ago. This is in phase 3 clinical trials. Have you looked into it? My Oschner neuro was not too thrilled about my descision. I think it was the best descision that I have made regarding my MS. Sending positive thoughts your way from the north shore. Next time try to fly Southwest. Since there are no pre-assigned seats I have always been able to be in the first or second row. This allows me to roll my seat into the plane, transfer to the plane seat and then they whisk my seat off and bring it right back after the flight. Although some airports are slower than others at bringing my chair back up, I find the flight attendants even interrupt the other passengers to stop and get me off if I want to. I’ve even see them ask others to vacate the front row if a disabled passenger arrives after pre-boarding. Mary Ellen, I usually do, but this time I went American Airlines and had a good trip over all. Wonderful posting! My heart goes out to you! I’m also in the “progressive” club. Our disease always progresses. But then again, so do we. In part, because of the disease. Robert, Leave it to you to find spin on words. It’s good to see your name. Thanks once again for reading my truth. Thank you for sharing the adventure with us. You are brave. I also want to say that you totally ROCKED those boots and cute dress. You are so cute girl!!! I almost fell off of the chair. Thank goodness to my girlfriend that was there and knew exactly what to do. Four big men could not do the job. that is why I hesitate to fly. John, Yes it certainly sounded like a nightmare. I flew American Airlines and they were extremely professional. I commented on it and they said the owner is in a wheelchair. So they had plenty training. My stepdaughter also has MS and while she is currently able to use canes to get from her wheelchair to her airline seat, I realize that ability may change. I write a travel blog with a focus on wheelchair accessibility, and I recently learned of a product made in the UK called the Promove Sling. I wrote about it in a recent blog post, and thought you might be interested in seeing it. I realize it’s probably not affordable for everyone with mobility issues, but it might be something to urge airlines to have available as an alternative to the aisle chair. Perhaps this info will be helpful to you and your readers. Jerl, Thanks for reading. I will check out your blog posts as well. It sounds like you are really taking care of your daughter. what’s good for her… is great for you! Wow, thanks for sharing this story! Before now I’d NEVER even given any thought about how “challenging” it can be for someone who is wheelchair bound to travel. Renecia, It was difficult but I was so happy I went. I traveled from Florida to Seattle for the MS cruise for a Cause. This was the first time I used the aisle chair and was very happy to find how easy it was. Denise, I guess in the big picture it wasn’t that bad. I am curious if you went to the bathroom on the plane……that is a concern of mine. I am on a scooter…..unable to walk without holding on to something. I have not flown since I have progressed to where I am now. Thank you for sharing your journey…..it is very helpful to me. Vicki, yes I had to use the restroom. I just called the play defendants and to have them helped me to the lavatory! Stan, thanks for reading. your stepdaughter is a lucky woman! I commend your bravery! Did your husband accompany you, or did you fly alone? I’d love to hear more about your adventure. Congrats on doing the conference! Nicole, I have submitted myself to the aisle chair on numerous occasions. Like so many of our little concessions to progressive MS, it gets easier each time. Mitchell, I hope you are right. in fact I look forward to it. I have often wondered how I would fly in my current health condition. I want to be able to go a few different places, but wasn’t sure how I would navigate in my wheelchair. As difficult as it was for you, congratulations on handling it, and thank you for sharing it. Because of you, I now know that flying is an option for me! Linda, I feel funny telling you the world is full of options, because I know you already know.